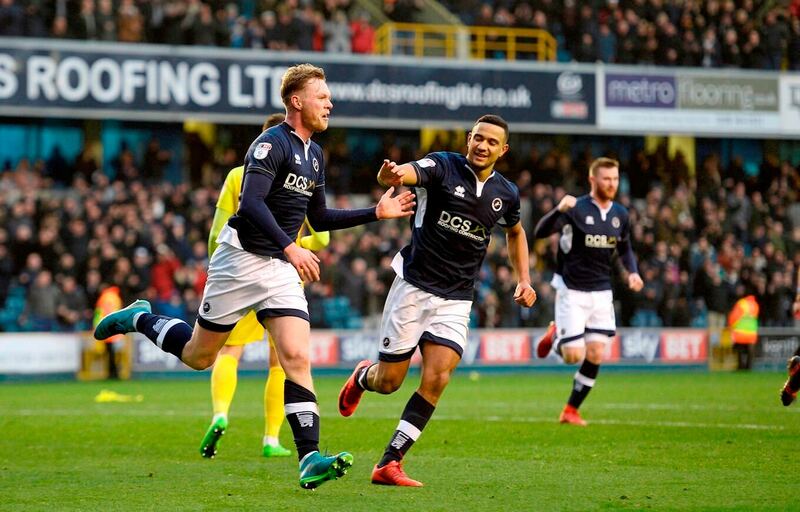 A goal for Preston’s Callum Robinson ten minutes from time was enough to deny Millwall another home win in a 1-1 draw at the Den. Millwall were offered no help by a determined Lancashire team in a rough and tough Championship scrap after Aiden O’Brien had given the Londoners a first half advantage. A whopping 30 fouls were committed in a game in which both reams were well…. Committed. The away side had far more possession than Millwall, a startling 61% of the game and yet managed just the three shots on target. If that sounds poor then the fact Millwall had just the single shot during the match speaks volumes. Preston came into the knowing a win could put them into the play off positions so they shut up shop from the off and let Millwall do all the running and chasing. 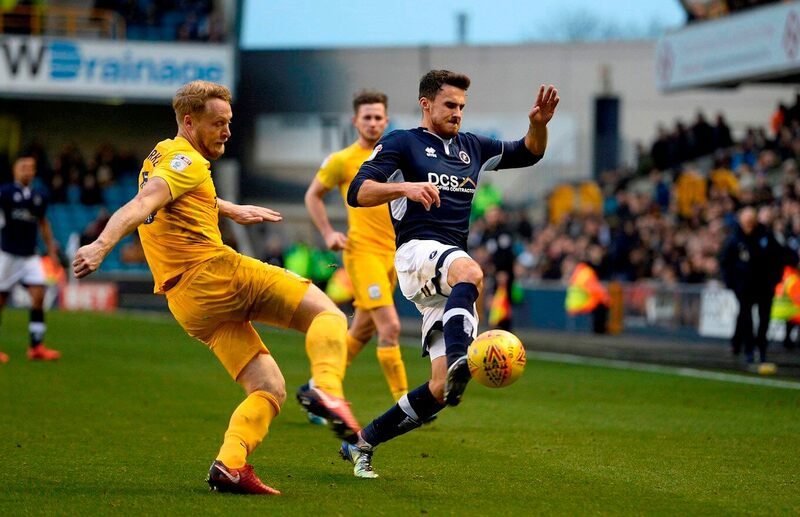 The ploy worked a treat eventually but for large swathes of the second half it looked as though Millwall were heading for a fourth win in five home league games. At home the Lions have been the real deal this season helping Millwall’s bid for survival no end. Following promotion from League One in May via the play-offs their reliance on staying up has been built on their home form so far this campaign and this point leaves them sitting fairly safe in 16th but they must not rest on their laurels. Despite the Lions picking up 25 of their 31 points in south east London, they are yet to win away from The Den since their return to the Championship. So the game plan on the road needs to change and a couple of away wins would be extremely welcome. Preston are 10th in the table, just two points off the play-off places, having only lost one of their last 11 league matches, while Millwall remain seven points above the relegation zone. It was Aiden O’Brien who opened the scoring in the 43rd minute, steering Jed Wallace’s low cross from the right wing into the bottom corner of the Preston net. It could have been the winner if it were not for Callum Robinson’s equaliser with only 10 minutes left on the clock, chesting in from a couple of metres out after latching on to Greg Cunningham’s ball. In fact it could have been even worse for the home team as Preston could have taken all three points, however James Meredith blocked Daryl Horgan’s shot with the clock running down. Before this Millwall’s Lee Gregory thought he had scored a second, only to be flagged offside while Robinson meanwhile, was a constant threat for the Lilywhites, testing Jordan Archer from range and sending two other efforts off target in the first half before finally sneaking in behind a half asleep Millwall defence to grab a deserved point for the visitors in front of a crowd of 11,751. “When you’re 1-0 up at home at half-time, it’s disappointing not to get three points but they’re a good side, a competitive side, an aggressive side in the way they press and the way they play. They’re a team that’ll be in the top six come end of the season. “I think it’s harsh to say Ben Pearson should have seen a red card. I thought the first booking was really disappointing and he didn’t really deserve it, and I think Ben’s frustration was the same as mine. “Within a game, there are a lot of 50-50 decisions and you’re hoping they’re going to get spotted evenly. I feel we didn’t get our fair share.